The Jonas Brother’s have crushed the hearts of tweens everywhere with the jarring news of their split. The three-piece boy band announced via People Magazine that the rumors were true, they would be disbanding and pursuing solo ventures. 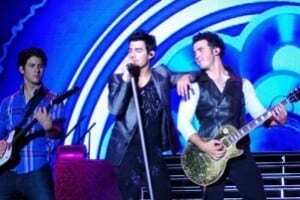 Kevin Jonas told People that “It’s over for now.” Rumors of the split started back in October when the Jonas Brothers canceled their US tour, which was set to hit 19 cities. The group formed in 2005 and broke-out into super stardom with baffling success, including a Grammy nomination and over 20 million copies of their albums being sold. Although the Jonas Brothers were a Disney brand, they managed to go through their careers without a classic Disney child-star melt-down or twerking at the VMAs for negative attention. As pre-teen girls clutch onto their limited edition Jonas Brothers backpacks even tighter, they can always remember that the Jo-Bros could pull an N’Sync by the time the brothers hit their 40s and blow the dust from their skin-tight pants for a “surprise” VMA performance. I just want to mention I am just all new to weblog and definitely liked you’re blog site. Most likely I’m going to bookmark your website . You surely have remarkable posts. Bless you for sharing your website. You just want to be somewhere else or actually playing the game.